We love when our team shares some of their favourite ways to create, organize and inspire. 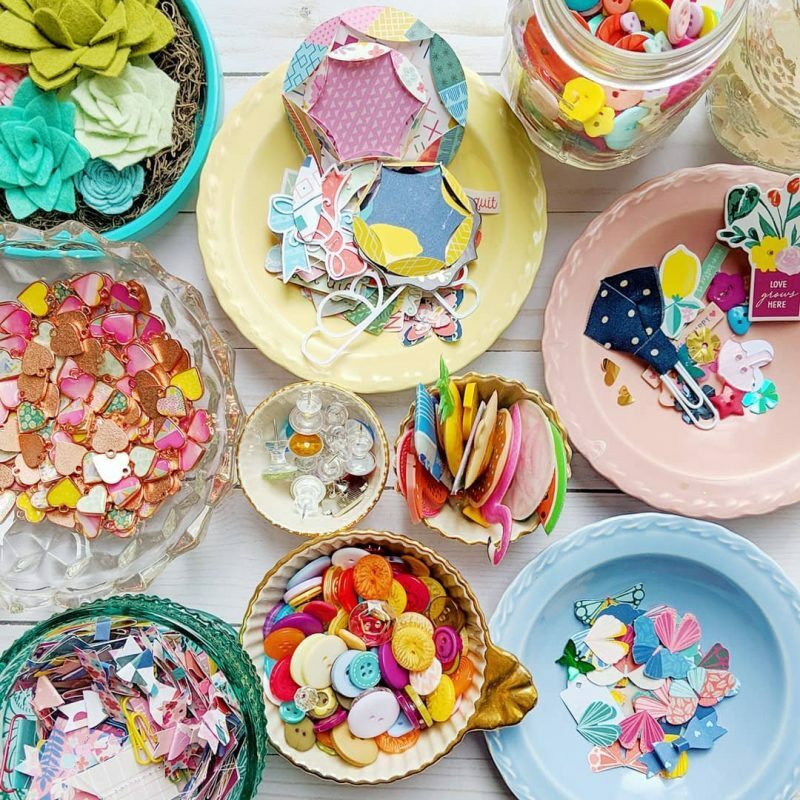 Today, Design Team members Meghann Andrew and Paige Evans have joined us to share a few thoughts on how they organize their craft spaces! My favorite organizational piece is an antique Making Memories spinner, which once held a plethora of tools in a not-very-organized way. For a couple of years, I put it away in a closet until I realized that I could re-purpose it to hold my monthly Elle’s Studio kits. It currently sits on top of a sewing table, pushed up against my Ikea Expedit, that has also been repurposed to hold my pocket page supplies. To keep my monthly kits close to my Elle’s Studio stamps, I simply added hooks with clear 3M removable tape to the side of my Expedit. I love that all of my pocket page supplies are in view, close together, and next to my standing work desk. It makes for easy work when I have a few minutes to create. 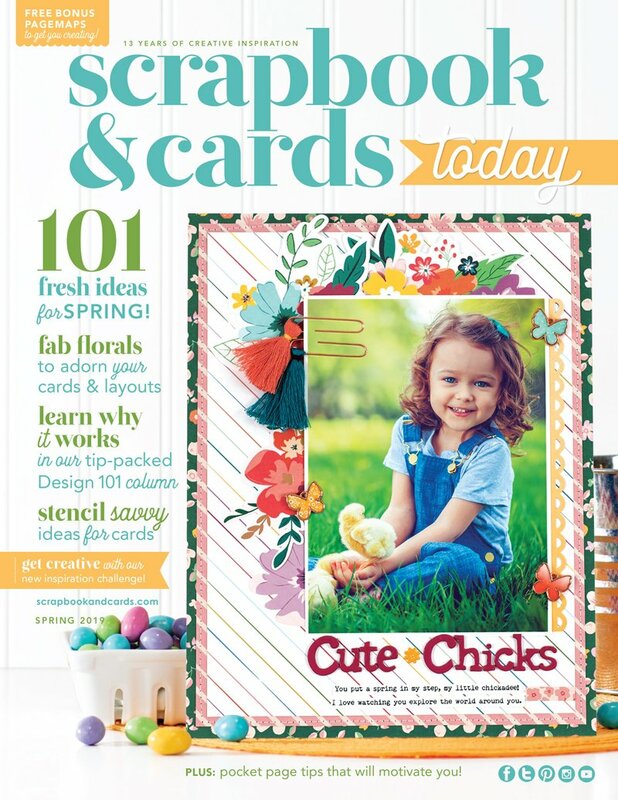 Organizing is almost as fun for me as scrapbooking itself! 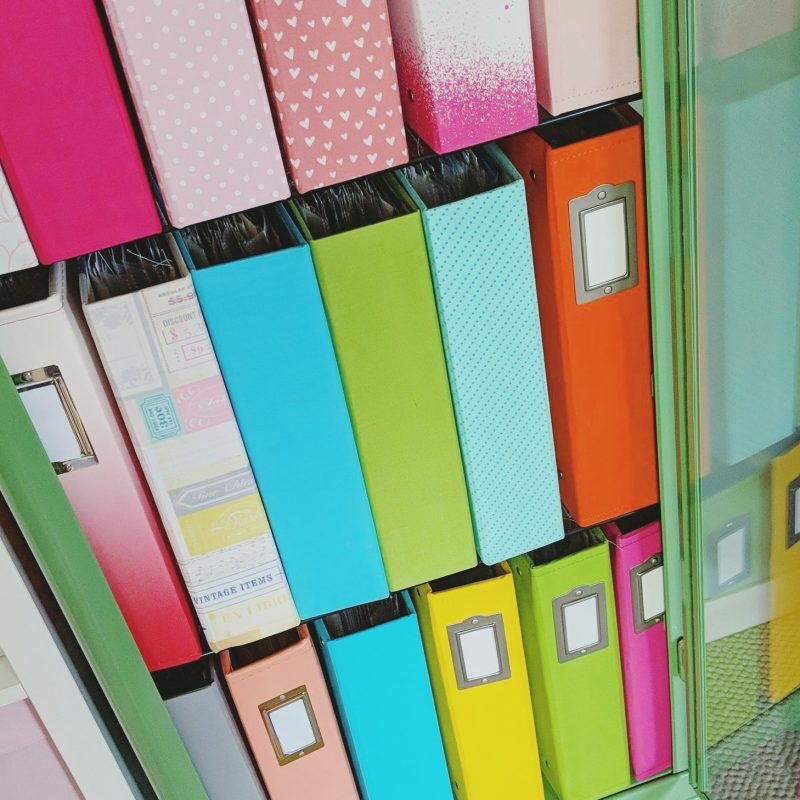 I have curated my “happy scrappy place” over the past decade to include things that keep me inspired and have found lots of favorite storage solutions – mostly from IKEA! 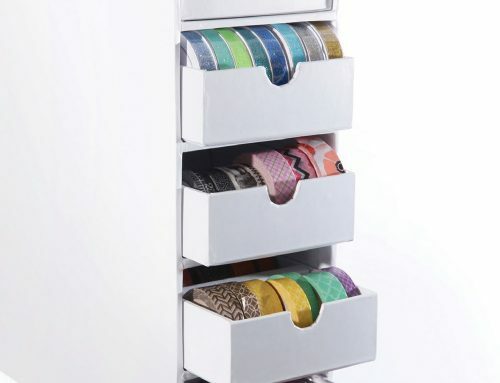 The Fabrikor cabinet holds 18 stuffed to the brim 12×12 scrapbook albums. The Kallax unit has up to 25 cubbies that I store all kinds of supplies. And the desk is from Amazon which also has cubbies on both sides for more storage. A place for everything and everything in its place! Do you have some storage ideas you would love to share? 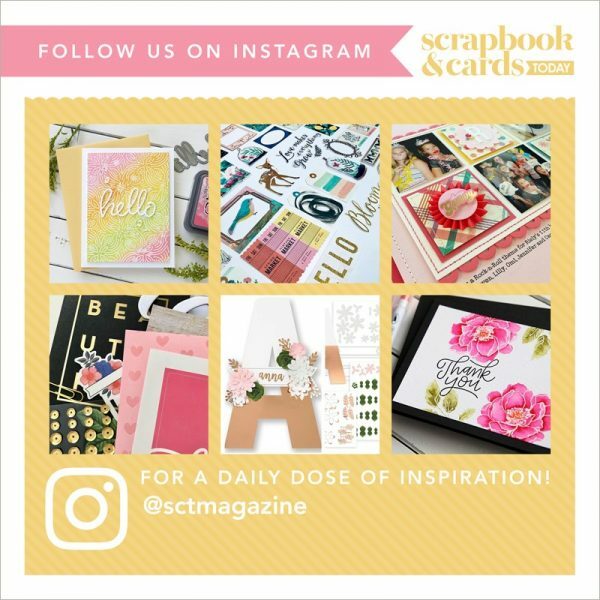 Send them to us at ideas@scrapbookandcards.com or tag us @sctmagazine on Instagram! 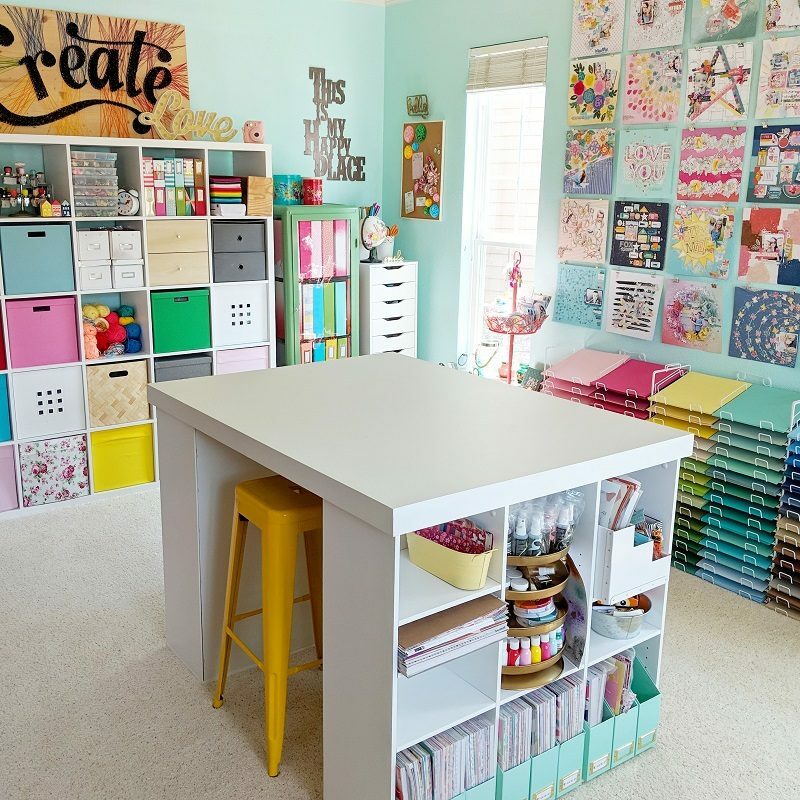 THIS is an awesome craft room!! 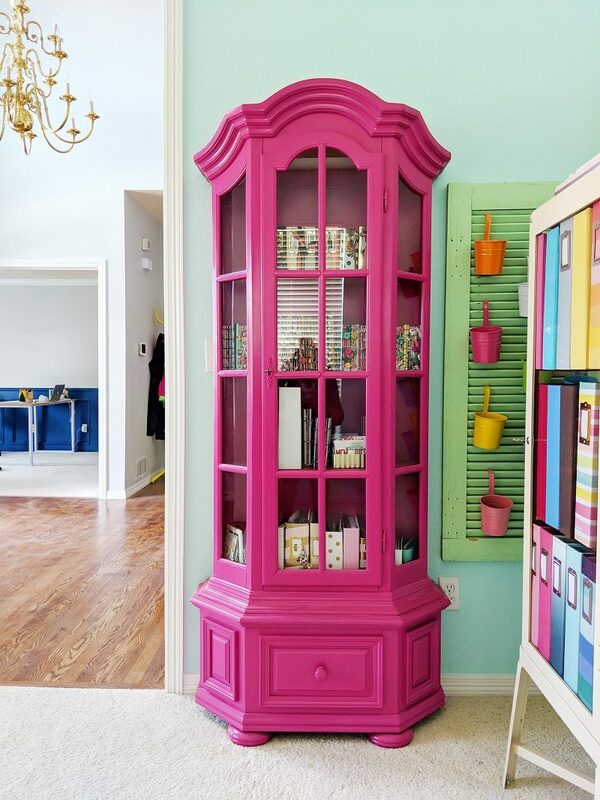 I Love your space – bright and fun! And…now I’m headed to Amazon to look for that desk…. wow! Outstanding! What cool ideas and yes, love your space too! WOW! 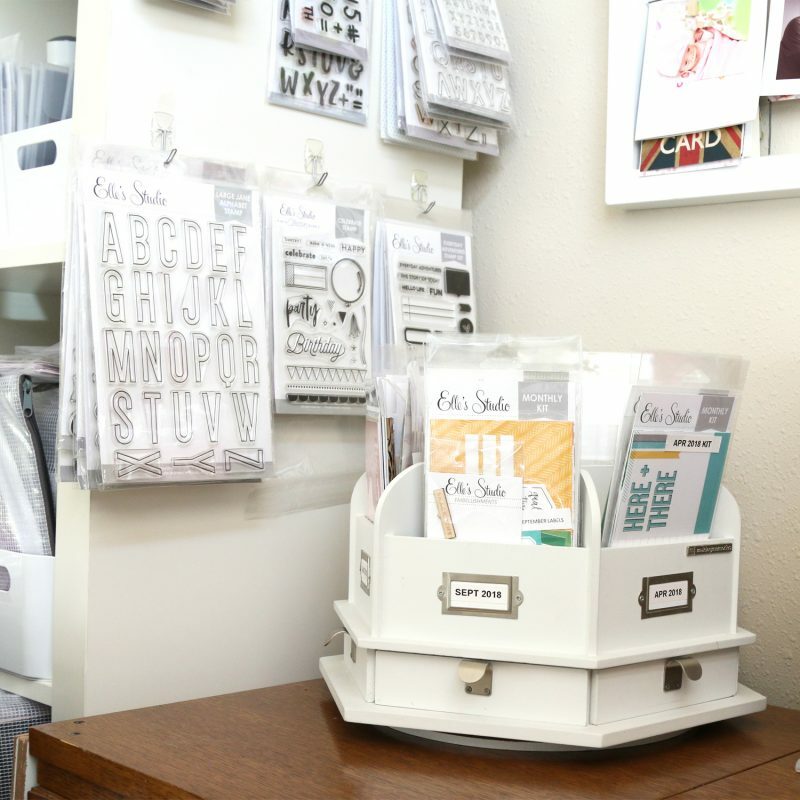 What a wonderful craft area and I love the various storage ideas you are using. I’ll have to see what I can incorporate in my tiny slopped ceiling room with a door & staircase in it. Thanks for sharing. Awesome ideas ladies- especially for the thickets on the wall hooks. Meaghann-such a good idea for using the spinner, what a great way to keep kits together. And Paige-that display of scrapbook layouts is stunning! 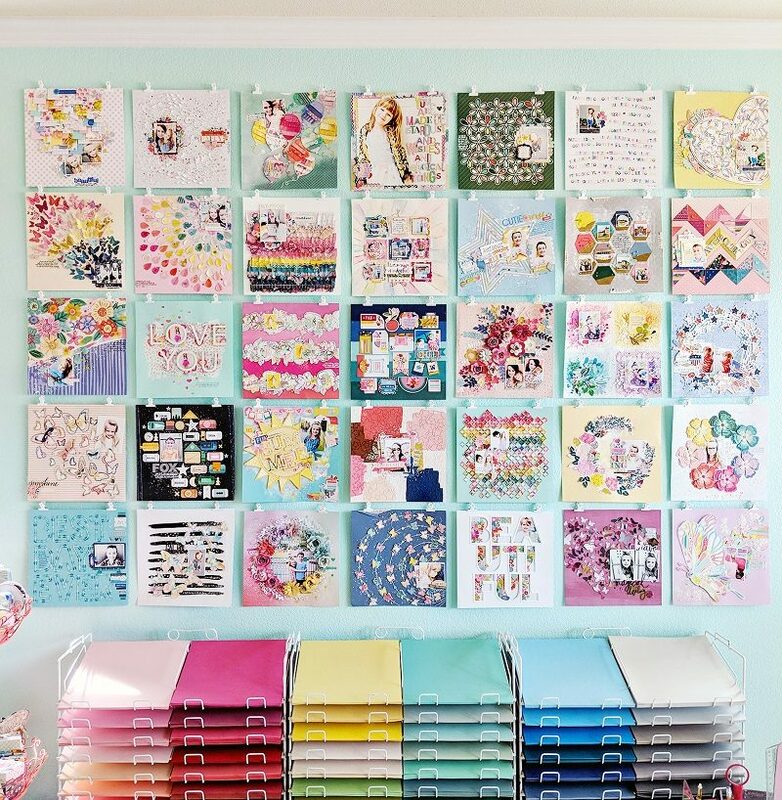 Thanks for sharing your tips and a peek into your craft rooms. I love how light and airy Paige’s room is, even with all the layouts displayed (great idea). 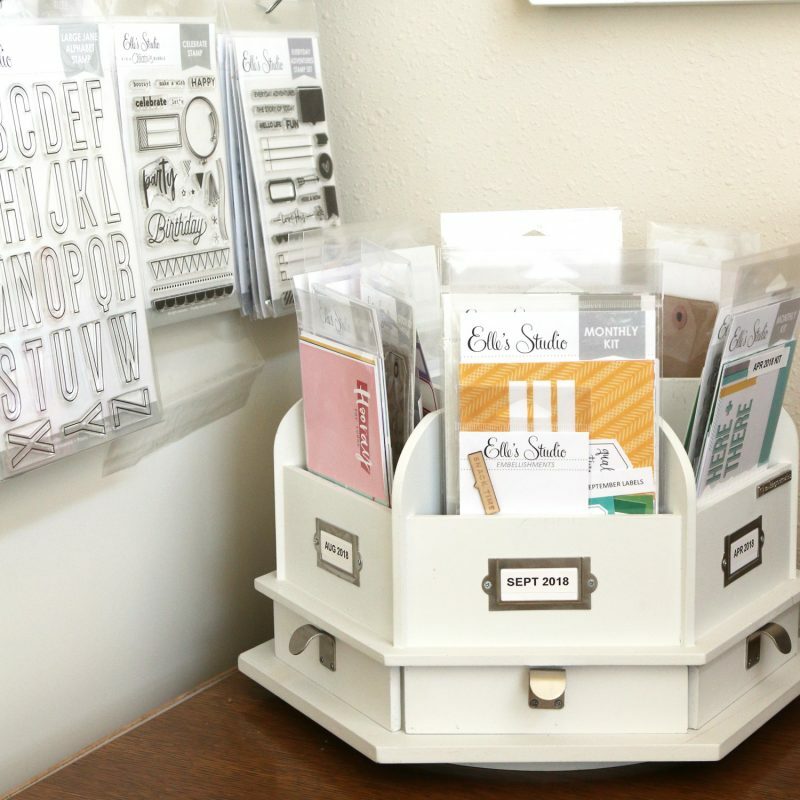 I also love Meghann’s storage ideas (LOVE the antique reference – I still have my MM spinner from YEARS ago – LOL). I wish I was as organized as these ladies, but I am too much of a hoarder for that…hence the reason I still have my MM spinner. Thank you for sharing the ideas. I don’t often think about how I could use my crafting space differently. But when I see ideas like Meghann’s and Paige’s I start to look around my space and wonder what I would do. Thanks for sharing your ideas. I, too have the MM spinner and it sits proudly on my worktable and I use it every single time I create — the absolute best investment.